First off, thanks for taking the time to expore my site! I am so honored that you want to know more about me. I’m 25 years old and living in my cutesy apartment in Claremore, Oklahoma with my two kitties. Some things I love include: Jesus, my boyfriend, vintage finds, being outside, warm drinks, and cozy blankets. My family and friends are super important to me, and I love adventuring and traveling just as much as I love to stay at home and chill. All my life, art and creativity have always been a huge part of my soul. It’s something that makes me come alive, something that I truly believe God placed inside me as a way to serve people, make special connections, and display His beauty. Photography happens to be my very favorite way of doing those things. I’ve been doing photography professionally since 2011, but I have loved taking photos for as long as I can remember. My vision for my work is to capture the authentic moments, whether they are big life moments or small, everyday details. I want to show you as you truly are, whether that is goofy, serious, shy, totally wild, or somewhere in between! I love photographing people who love adventure, are up for anything, and who prefer the candid rather than hyper-posed photos. I am all about getting to know you and becoming friends! If my work and vision excite you and inspire you to work with me, let’s chat! From the moment I started getting to know Allison I knew that she was the girl for me. Never before have I met anyone so kind, passionate & personable. She made my session unique & fit for me, to showcase who I really am as a person & what I like! She captured the best raw moments & we had the most fun laughing through the entire thing. She exceeded my expectations & flew to the moon with them. Not only did she make an outstanding photographer, but the sweetest friend too. No matter who you are, Allison is your girl!! Allison deserves more than 5 stars, but this will have to do. She took our engagement and wedding photos (and my brothers senior photos), and we could not be any happier with the photos. If you want posed, awkward, unnatural photos, Allison is NOT for you. If you want GORGEOUS, sincere, in the moment photos with a cherry on top, Allison is YOUR GIRL! This lady is wicked talented, and will make you feel so comfortable in front of the camera. Love love LOVE her! What a talent this woman has! She made the entire experience so much fun. She was able to truly capture my daughters personality, and the pictures could not be more beautiful! Thank you Allison! I can't express how comfortable Allison made me feel taking while taking my senior pictures. She made me genuinely laugh for the "laughing photos" and made sure to really listen to what I wanted in my photos and then made it a reality. 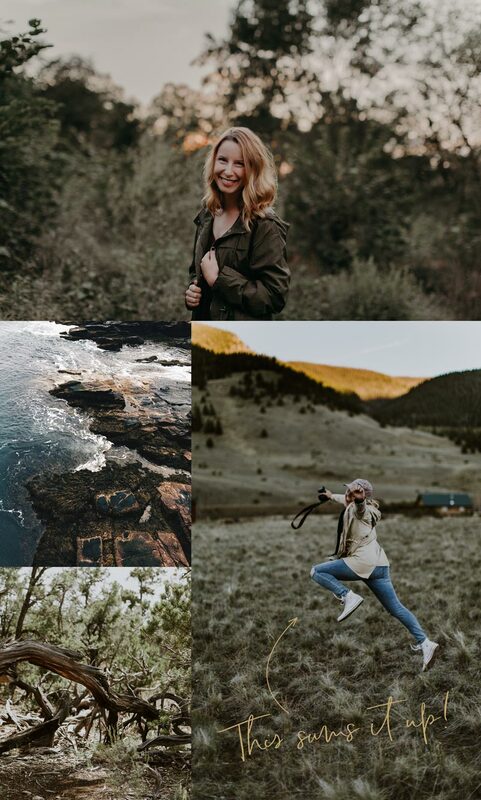 Not only to I completely recommend her as a photographer for your photos, but I also recommend you to befriend her in the process because she is an absolute gem to behold. Love this girl. Allison has taken photos of me on many occasions. She is always very professional about it even when we take photos just for fun. She always knows how to get candid shots and those are always the best. She has also taken many product photographs for me and I am always very pleased with her work. She is extremely talented, has such a great eye and I always love seeing her work. Allison is the perfect photographer. She just becomes a part of the family and encourages you to be natural, and the product of that is a beautiful and true representation of the people she photographs. I would recommend her to anyone!! Allison's talent and creativity has always come through when taking our pictures. Taking pictures of our family has always been somewhat stressful having a special needs daughter in a wheelchair. Allison has always had ideas and an eye for where, what, and when. We have always loved the outcome!